The Bank of China Towers in Hong Kong were once Asia's tallest buildings. To stabilise the structure, the strongest shape was used... the triangle. Once the tallest building in Asia, the Bank of China Tower is one of the most identifiable landmarks in Hong Kong. It is distinguishable by its trademark triangular design. This design not only adds aesthetic appeal. Triangles are an integral part of its design and construction. Triangles have been used in construction and design since the early days of architecture. Today they are mainly seen in bridges, towers and skyscrapers in order to strengthen them. These buildings need to withstand great forces, like weight and wind pressure, and the possibility of earthquakes. The Bank of China Tower for instance has to endure strong winds during typhoon season. Whilst other polygons are often used in architecture, triangles are the shape of choice when strength and stability are key. Triangles are one of the strongest geometric shapes because their sides have fixed angles, with each side supporting the other against the force of gravity. They cannot be bent or manipulated like other shapes, such as squares, which can become rhombuses under pressure. 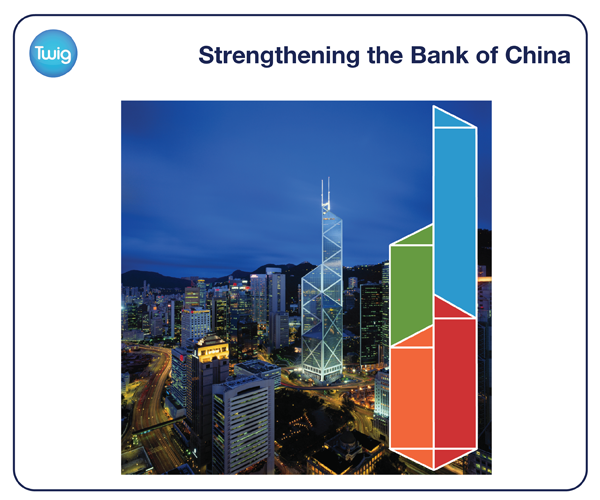 This is why the Bank of China is made up of a triangular framework, as opposed to a square framework. Also, the square base of the bank is reinforced by being split into four triangular prisms positioned together. This triangulated design adds strength by distributing weight evenly onto the foundations. 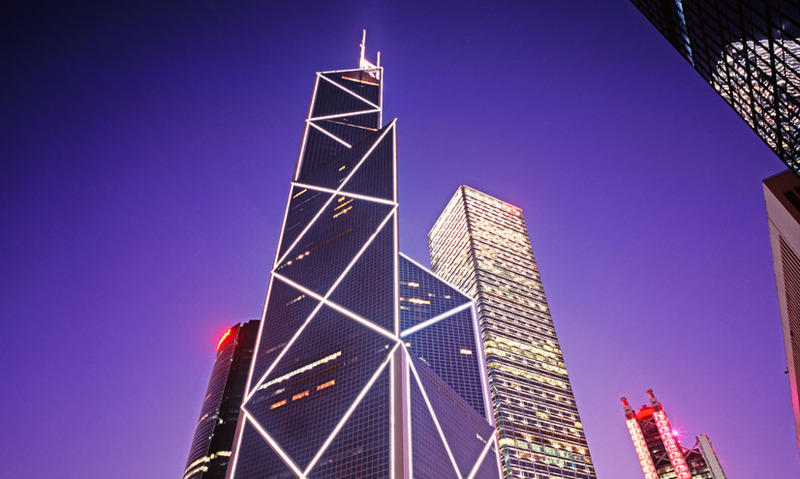 Built in 1985, the Bank of China Tower remains one of the most modern looking buildings in Hong Kong. Testament to its pioneering use of triangles in order to achieve maximum strength. Where is the Centre of a Triangle?